The newest showers and toilets come equipped with responsive tech—voice activation, adjustable lighting, and other app-activated features that make the bathroom a truly personalized experience (and virtually hands-free). 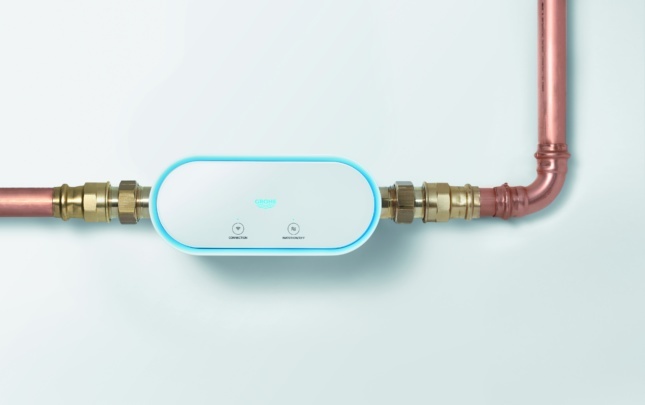 A trusty safeguard in case disaster strikes, Sense Guard detects leaking water by tracking pressure and flow and cuts off water supply in pipes to prevent costly water damage. Pair it with the GROHE Ondus to keep track of how much water you use. 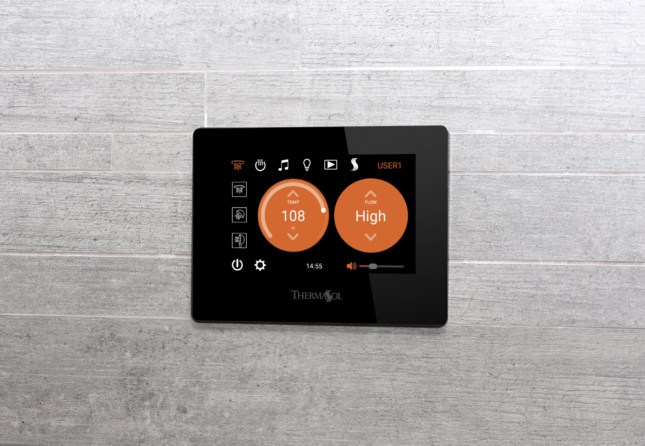 ThermaTouch is a 7-inch LED touchscreen shower control system equipped with Bluetooth, Ethernet, Capacitive Touch Technology (CTT), and Infrared Temperature Sensing (ITS). 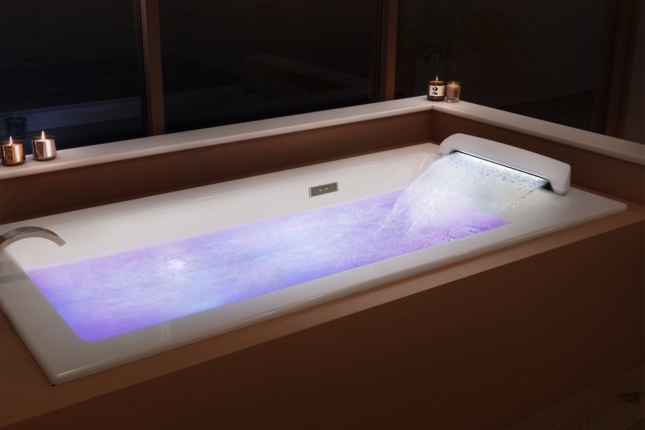 When paired with Thermasol’s Serenity Light and Sound Rain Head, users can control the steam and lights, and at the same time browse the internet or stream videos via connected apps. Lit by a hidden light strip, illuminated drops of water create a shower experience like no other. Featuring two spray pressures, the low flow increases the size of the water stream, while the higher flow creates a more concentrated, powerful stream. Prevent water damage and waste with Moen’s new leak protection system. 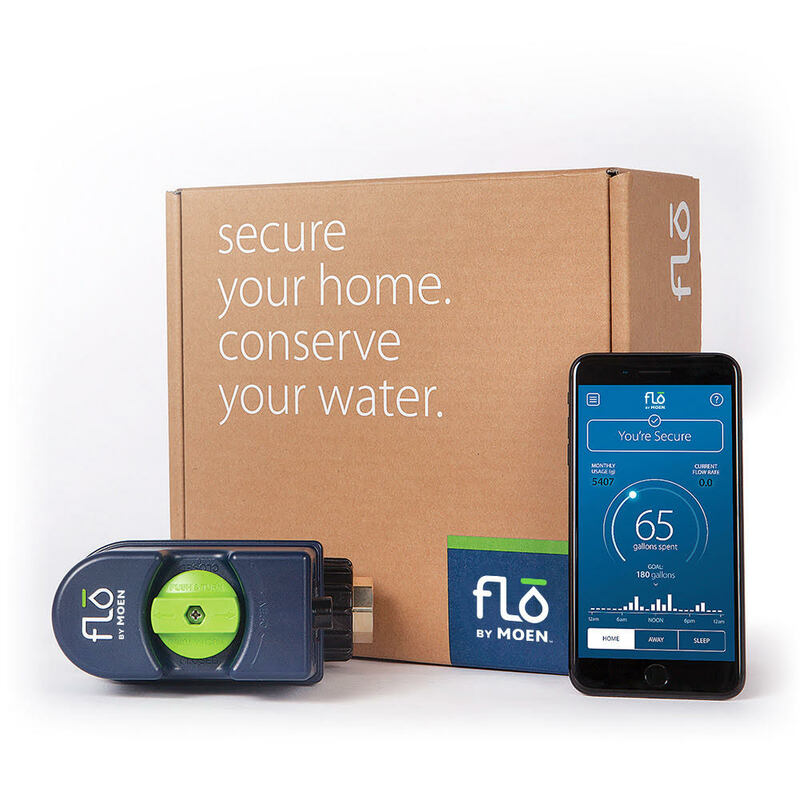 Homeowners can control the water pressure, flow rate, and temperature via the FloSense app. Meanwhile, features like daily testing, identifying leaks, and troubleshooting tips allow for proactive monitoring and the ability to shut off the water or contact Flo Support.